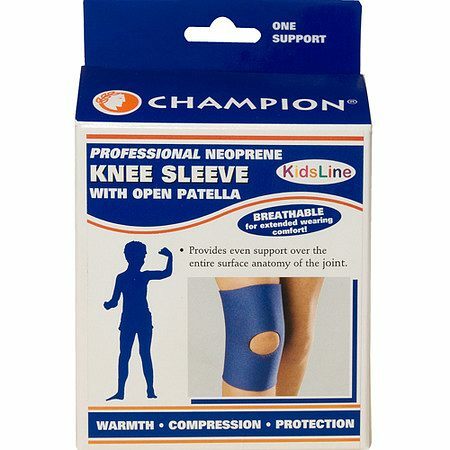 Champion Kids Knee Sleeve, Neoprene1.0 ea. Four-way stretch material provides even compression over all the anatomical prominences of the joint. Opening over kneecap helps the support maintain its correct position at all times. Plush lined interior absorbs moisture, wicks away perspiration. Measure around the bend of the knee.